This is the big one! The Avengers are teaming up with the Guardians of the Galaxy to take on the biggest threat they've ever faced, and the Minimates are out of this world! 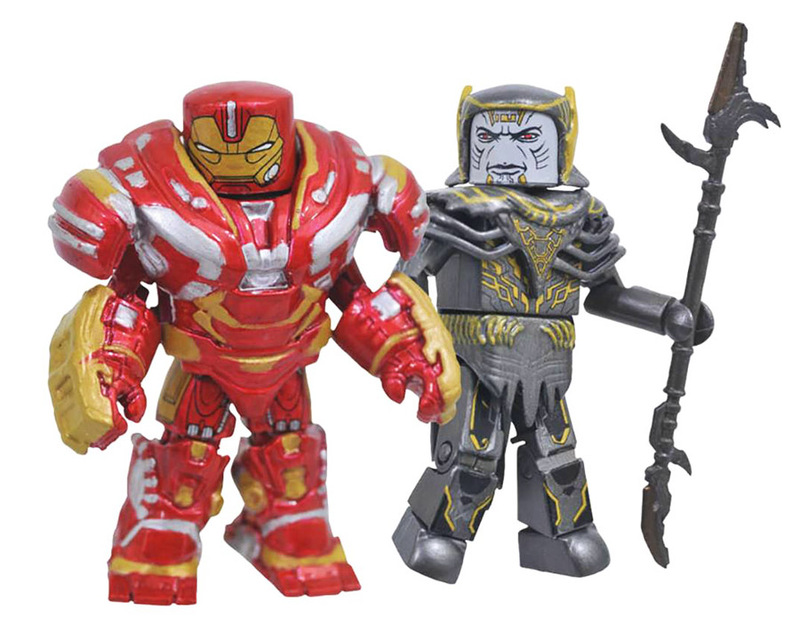 Three new two-packs capture some of the key players in the galaxy-spanning Infinity War: Captain America with Falcon, Hulkbuster with Corvus Glaive, and the Toys"R"Us exclusive Black Panther with Ebony Maw! Each 2-inch mini-figure features up to 14 points of articulation, and has fully interchangeable parts. "Infinity War was incredible, and I am very happy that we are getting all of the Black Order! This series looks fantastic!"